[PDF] Starting At Zero: His Own Story | Free eBooks Download - EBOOKEE! Description: It took just four years in the spotlight for Jimi Hendrix to become an international cultural icon. The sheer impact and originality of his music and his unique mastery of the guitar placed him for ever amongst musical giants. But what of the man behind the public image? Modest and intensely private by nature, Jimi was shrouded in intrigue from the moment he first came into the public eye, and the mystery has only grown with time. Much has been written about him by experts, fans and critics, some of it true and some of it not. He did, however, leave his own account of himself locked away like a Chinese puzzle in his many interviews, lyrics, writings, poems, diaries and even stage raps. Starting At Zero brings all these elements together in narrative form. 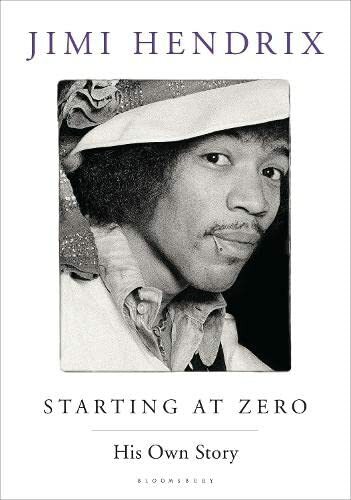 The result is an intimate, funny and poetic memoir - one that tells, for the first time, Jimi's own story as only he could tell it. No comments for "[PDF] Starting At Zero: His Own Story".